Ride Comfort may be important, but restoring a vehicle's Ride Control; stability, stopping, lane change responsiveness and handling is critical. KYB Excel-G Shocks & Struts are designed for the most important performance purpose: Restoring the vehicle's original capabilities. 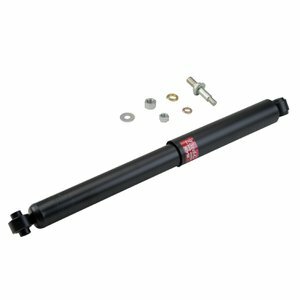 KYB is a world leading supplier of shocks and struts to new vehicle manufacturers and the Excel-G is made on the very same KYB OE assembly lines, uses the same OE quality components and is calibrated to restore original, designed performance, not change it. That has earned Excel-G the classification: OEA (Original Equipment for the Aftermarket). The KYB Excel-G is a nitrogen gas-charged, twin-tube design that includes every quality component that our global OEM products include.